Awhile back, I posted some cute cans (in this post) I found on etsy. Feeling inspired by them, I decided to paint a few of my own and mix them in with some vintage labeled cans I have been collecting. A very easy and fun project, I simply used acrylic paint. 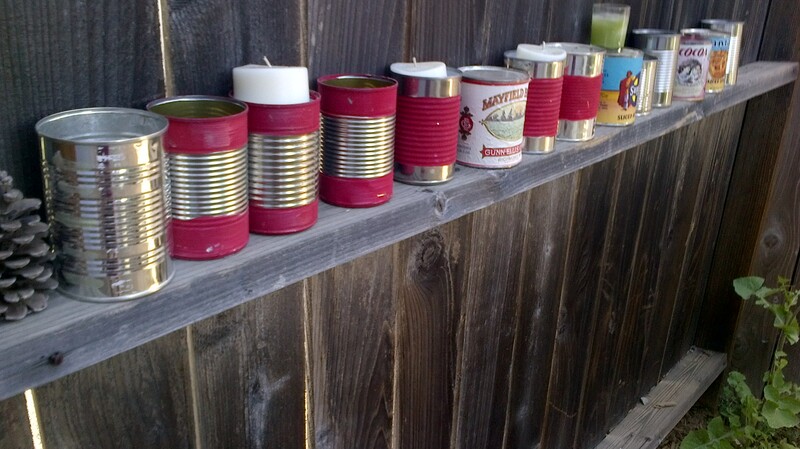 I am starting a small getaway garden, a relaxing space to read a book or have a glass of wine with my husband and decided that the cans would look cute simply in a line on the fence. They are cute, work well for storage, small plants or as candle holders. Simple, cheap and environmentally friendly! 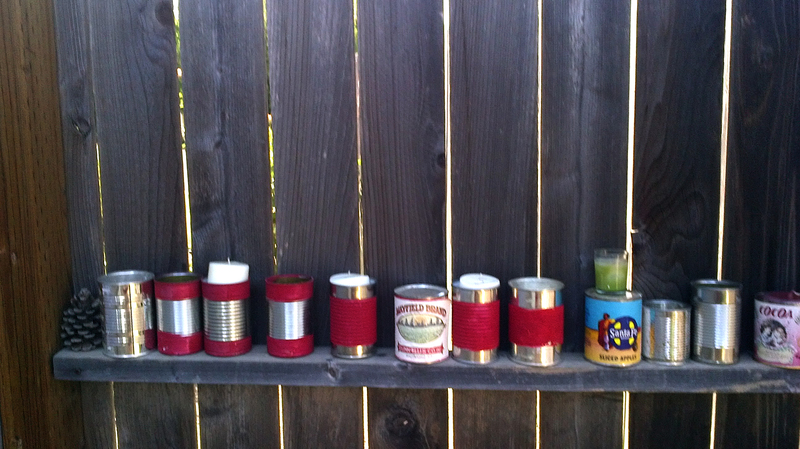 To hold the cans steady I simply added rocks to the bottom of them, which also gives candles a height boost.